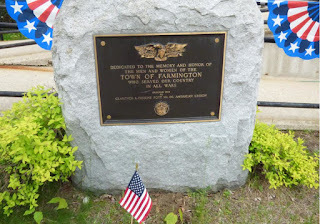 The November issue has been posted on the Farmington Historical Society's Scribd site, and is now available for viewing online. You can view and download and print the issue in color from the Scribd site, if you wish. Note: Printed Copies have an error in the full page Ad for the Christmas Spectacular on Page 5. It incorrectly reports the show will be on Saturday and Sunday, when it is correctly Friday, December 11 and Saturday, December 12. Sorry for the mistake. It was corrected in the online version. 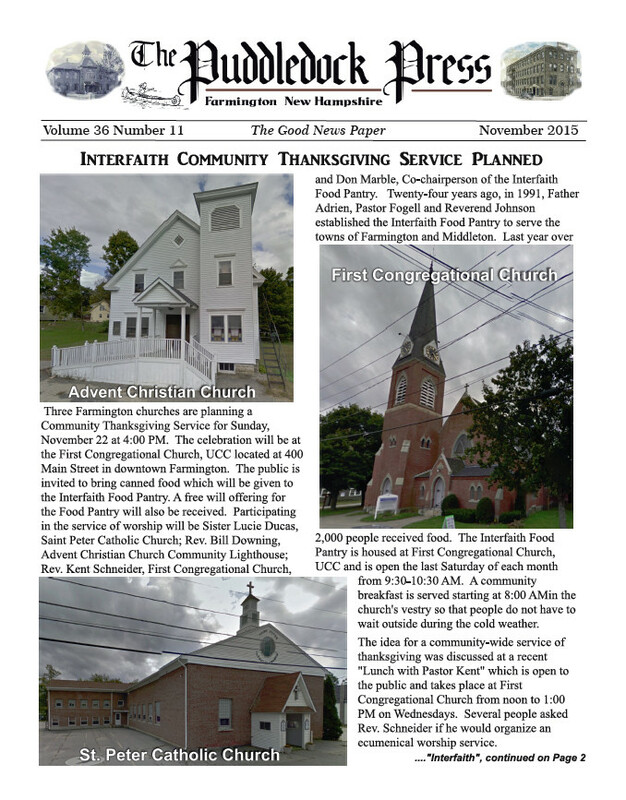 Printed hard copies of the November issue will be available at our fine distribution sites in Farmington soon. 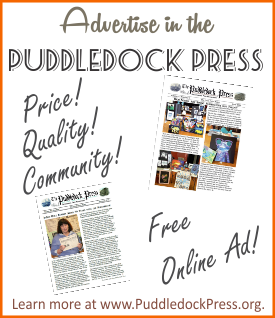 To find out where to pick up your printed hard copy, check the Find a Puddledock tab on this site, and select Current Edition for the list of our fine Farmington businesses that carry the Puddledock Press! 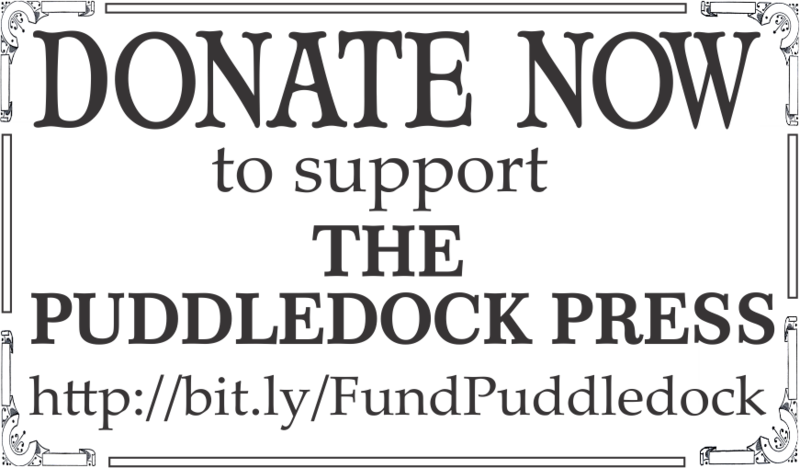 Don't forget to thank these establishments for carrying the Puddledock, visit them often, and remind them how you appreciate their supporting our paper, and that you'd love to see them advertise in the paper! 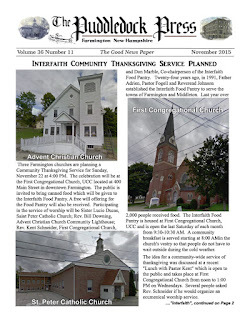 Hope you enjoy the November issue! Start submitting your news and articles for December now.